Are you a Smurfs fan? I grew up watching Smurfs back in the 1980's, when we only had basic cable and no DVR to record episodes in case you missed them. Every Saturday morning, I got up early to watch cartoons and get my weekly Smurf fix. I love that they have rebooted one of my favorite cartoons to share with my kids! 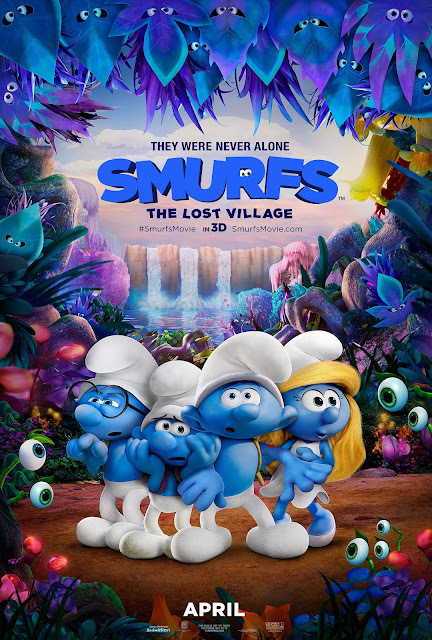 Smurfs: The Lost Village will be arriving in theaters April 7th, and it's sure to be another smurftastic adventure! 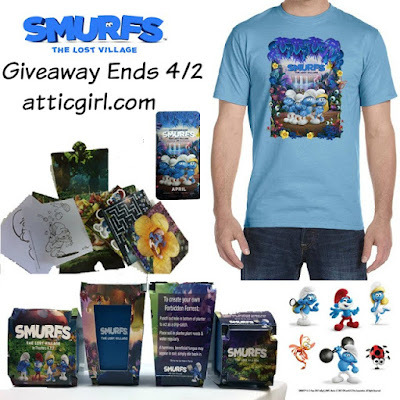 Read on to learn more about the film, how to make your own Smurf Muddy Buddies snack for family movie night, and enter to win some smurftastic swag below. 1. 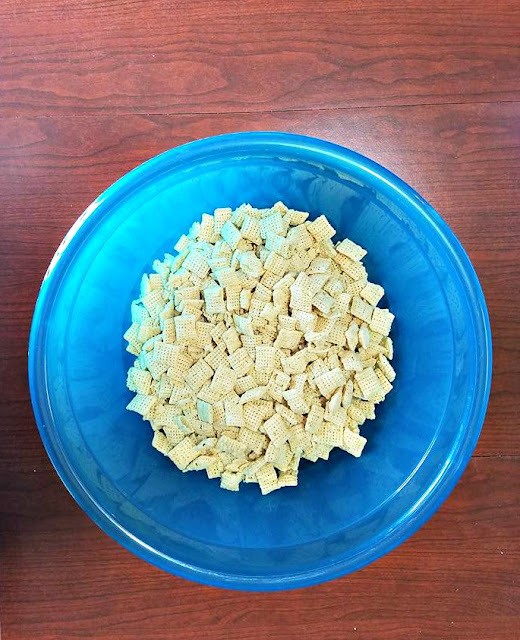 Measure cereal into a large mixing bowl and set aside. 2. Pour the powdered sugar and sprinkles into the 2 gallon Ziplock bag and set aside. 3. Cover a large baking tray with waxed paper and set aside. *We omitted the peanut butter in this recipe due to my daughter's peanut allergy. 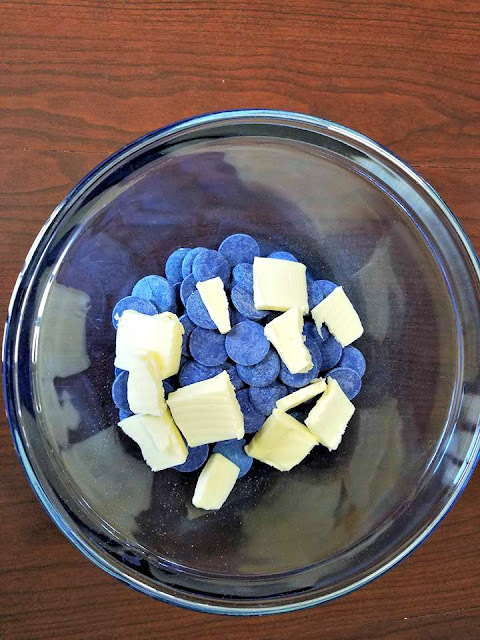 To make this recipe more allergy friendly, you can substitute the peanut butter with Wow butter or Sun butter, use peanut-safe white chocolate chips to dye dark blue, and allergy friendly sprinkles. I couldn't find peanut allergy safe candy melts locally and needed a something quick & easy so I chose Wilton. 5. 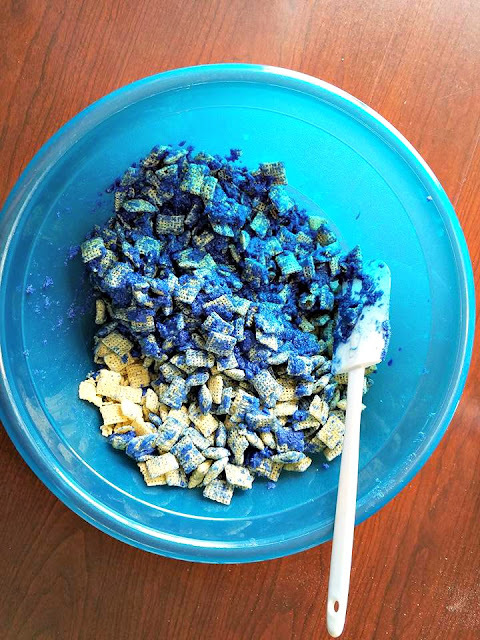 Pour the blue mixture over the cereal and stir evenly to fully coat the cereal. 6. Pour the cereal into the 2 gallon Ziplock bag and seal. Shake until the cereal is completely coated. 7. 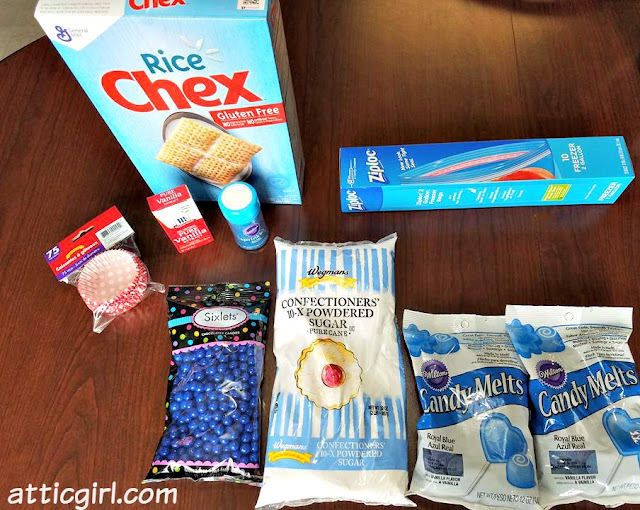 Unseal the ziplock bag and pour the cereal onto the wax paper-covered large baking tray. Spread the cereal out and break up any big clumps. (Some of the blue chocolate didn't distribute perfectly, but this was our first time making them.) My daughter calls the imperfect lumpy pieces Smurf poop! 8. Put the tray in the fridge for about 15 minutes to set. 9. Once the muddy buddies are out of the fridge, use a spoon to scoop them into the red & white polka dot Baking cups. Add sixlets as desired. 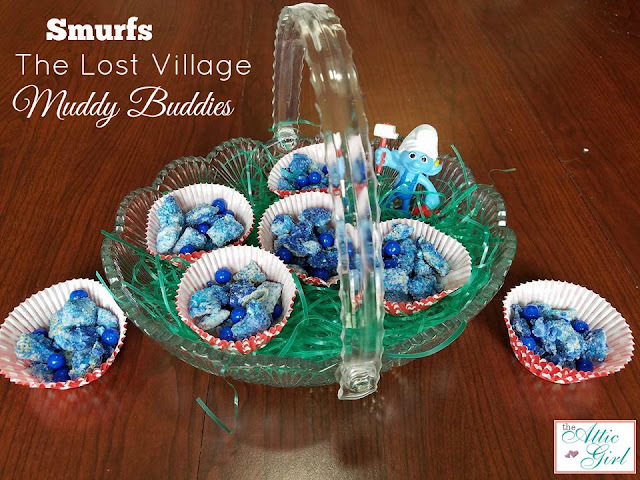 I used a Mikasa basket to display the Smurfs Muddy buddies inside the toadstool baking cups with some Easter grass and added one of my daughter's Handy smurf figurines. And voila! This is a fun snack to make with your kids and easy to store in a ziplock bag for munching later. 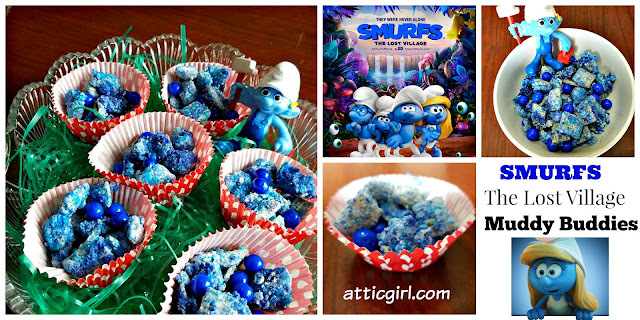 It's perfect for a smurfs themed party or family movie night! 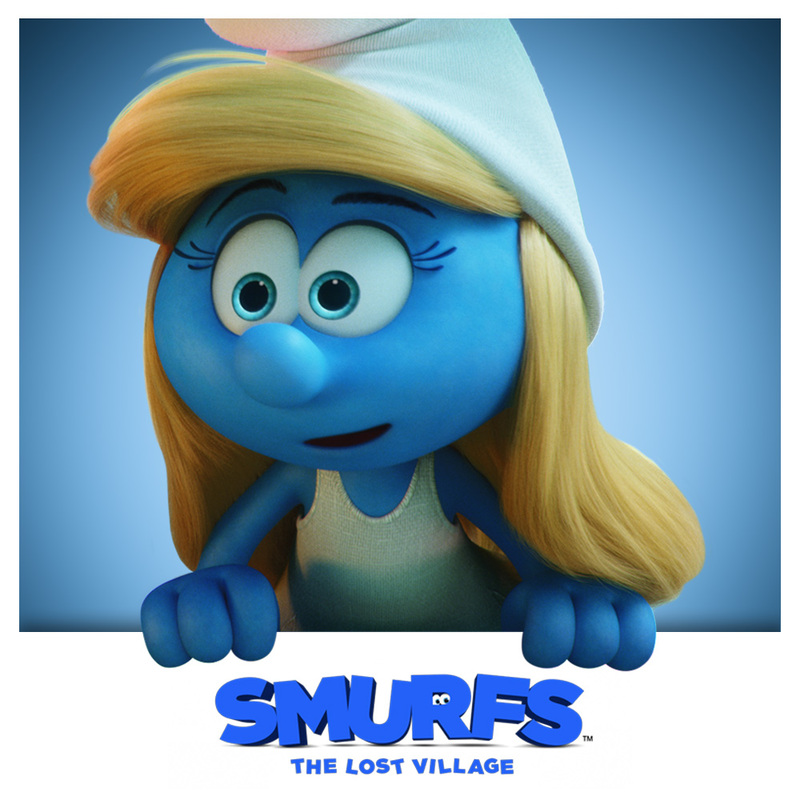 Want to win 2 tickets to see Smurfs: The Lost Village in theaters? Click the link! Just use the Giveaway Tools form below. You must be a US resident 18 or older to enter. You must complete each task entirely or your entries will not count. This giveaway is not in any way associated with or endorsed by Facebook, Pinterest, Instagram or Twitter. Giveaway Ends 4/2/17 at 11:59 PM EST. US Residents **18 and older** only may enter. One entry per household and IP address. Winner will be drawn using random.org and will have **48 hrs** to respond to email or another winner will be chosen. Entries are verified. No purchase necessary. Void where prohibited by law. The number of eligible entries received determines the odds of winning.The Attic Girl is not responsible/liable for prize delivery. Prize may take 6-12 weeks to ship from the sponsor. By entering the giveaway, you agree to the Giveaway terms/rules. Disclosure: This is a sponsored post on behalf of Review Wire Media for Sony Pictures. I received information to facilitate my review as well as a promotional item to thank me for my participation. For more info. see my Disclosure Policy. Welcome to the Spring For Giveways Giveaway Hop brought to you by The Hopping Bloggers! 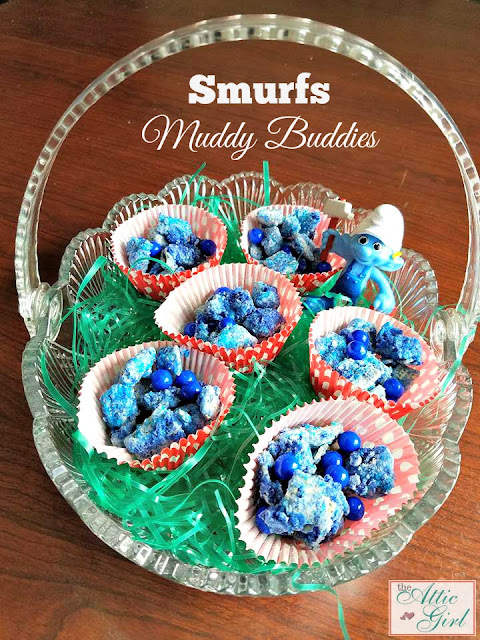 20 comments on "Smurfs Muddy Buddies Recipe Plus Giveaway #SmurfsMovie #RWM #ad"
Want to make smurfs muddy buddies and craft I want to make is the blue slime. 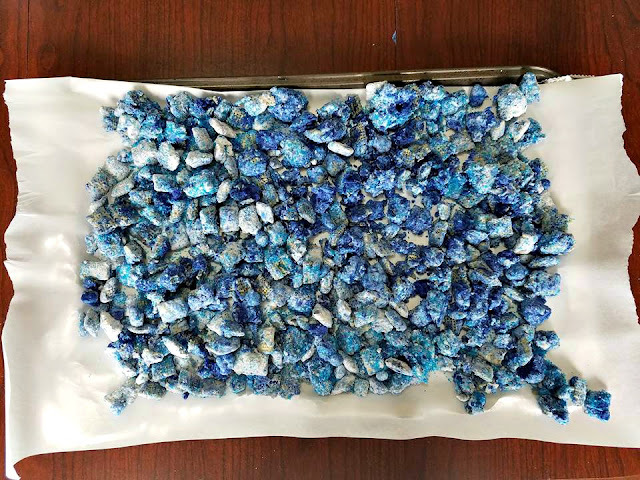 I would love to try the Smurfs Pretzel Candy recipe. Definitely want to make the smurf village, perfect for a tea party. 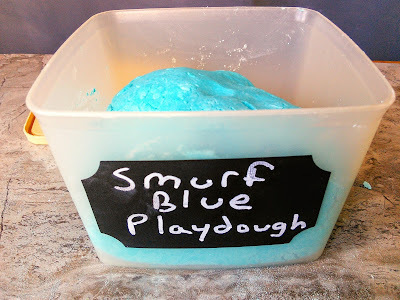 I want to make the Smurf Blue Playdough by Mom Knows Best. We love making things with playdough and blue is a good color. These are totally adorable! 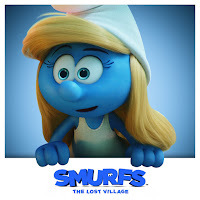 Can't wait for the Smurfs movie! Thanks for including my edible mushroom houses! I'd try the smurf popcorn because I like popcorn anyway i can get it. 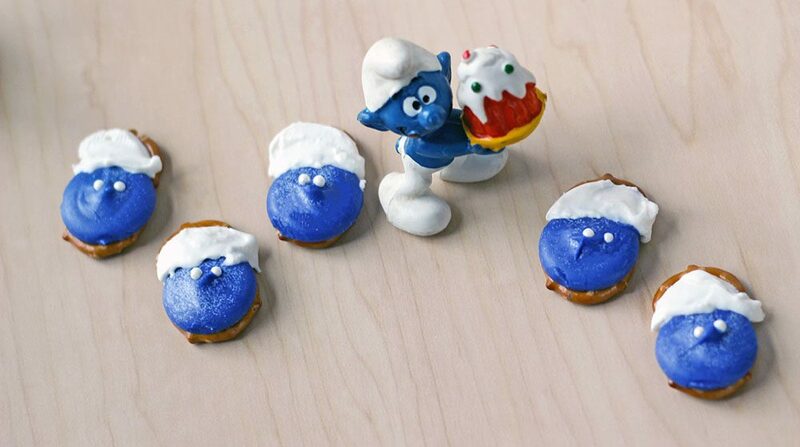 I can't get over how cute these Smurf DIY ideas are! My nephew is so excited about this movie. We'll have to gear up with these treats! Luckily I have the blue melts already! 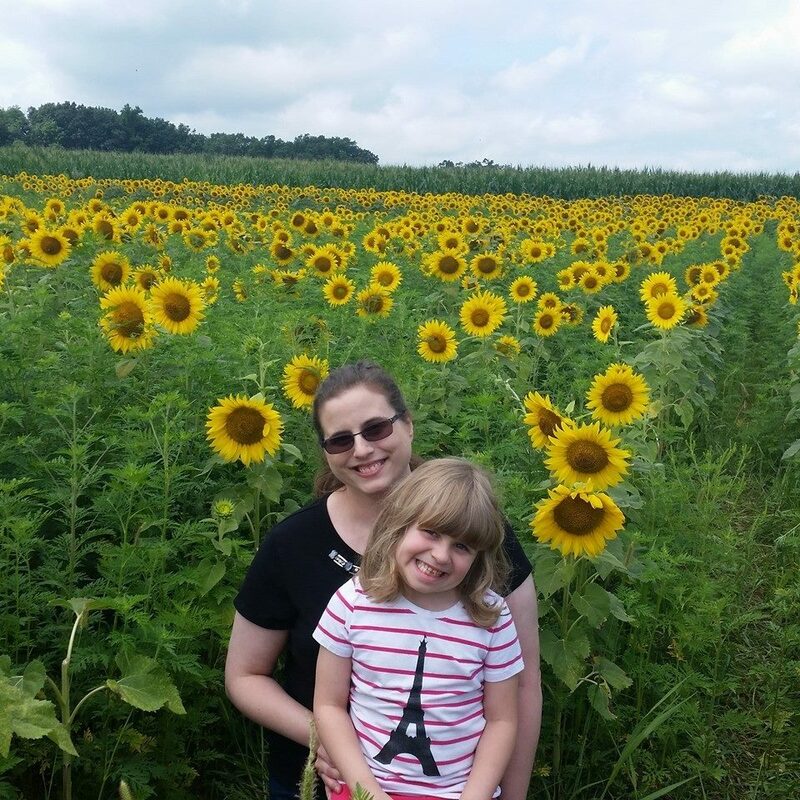 Thank you for sharing this over at Blogger Spotlight link party. I will be featuring you for Thursday's party. I hope to see you again! Ah--I remember waking up and watching the Smurfs on TV with my friends children. Once in a whule I would even watch it when they weren't around. This movie should captivate the entire family. Blue Chocolate? What fun!! I want to try the Smurf Popcorn because we are popcorn lovers!! 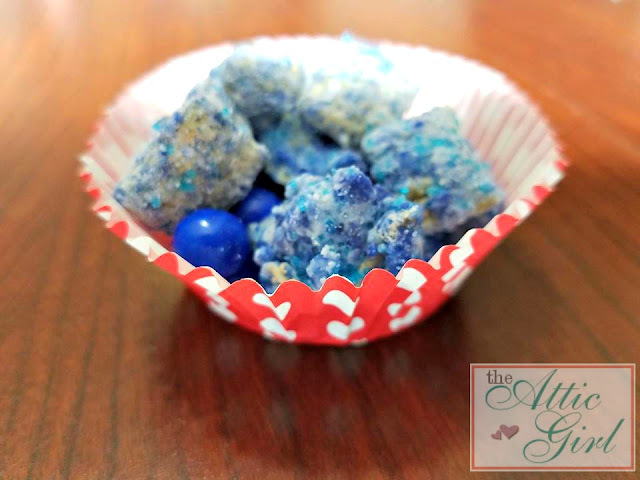 We enjoy eating popcorn,so I'd like to try the smurf popcorn recipe! 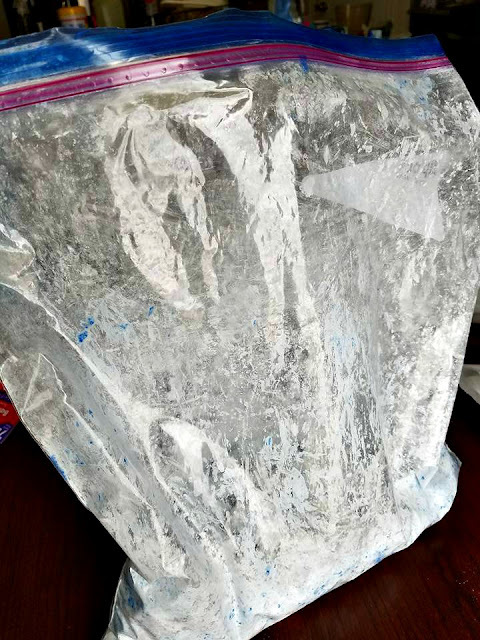 I can make some smurf slime with my grandson.